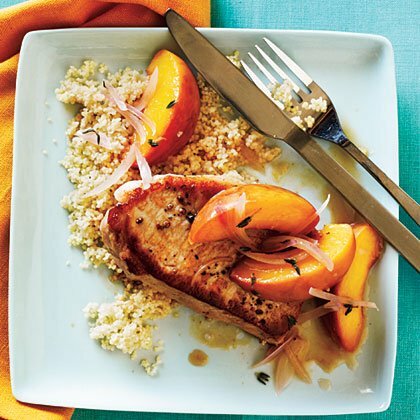 Easy and quick, this will come together in 20 minutes and features juicy pork chops, sweet peaches, and savory white wine. 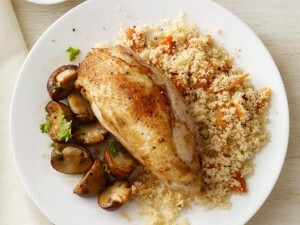 Try serving it with quick cook couscous or with a spinach salad. Heat a large skillet over medium-high heat. Add oil to pan; swirl to coat. Sprinkle chops evenly with salt and pepper. Add chops to pan; cook for 3 minutes on each side or until done. 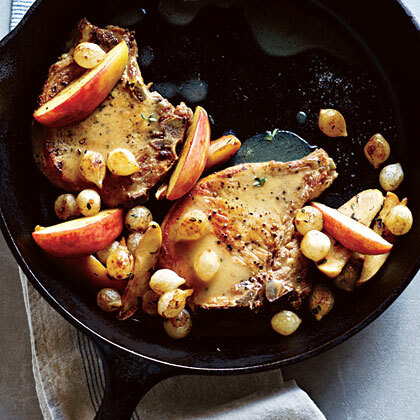 Remove chops from pan, and keep warm. Add shallots, thyme, and peaches to pan; cook for 2 minutes. Stir in wine, scraping pan to loosen browned bits; bring to a boil. Cook until reduced to 1/3 cup (about 2 minutes). Stir in broth and honey; bring to a boil. Cook until reduced to 1/3 cup (about 2 minutes). Remove from heat; stir in butter. 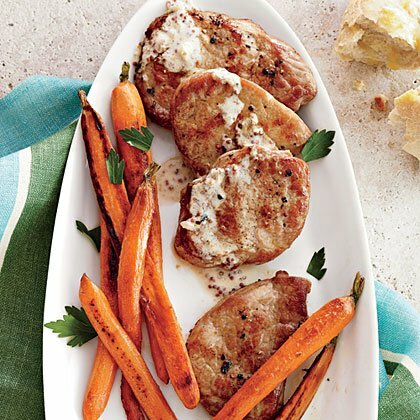 Spoon sauce over chops.